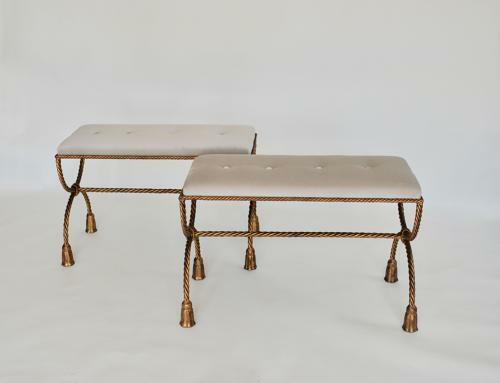 Pair of painted metal rope twist benches. Newly upholstered in a cream fabric. Could be used in either a bedroom, sitting room or as piano stools. Probably Spanish from circa 1960.